MountainViews offers various lists and targets for hillwalkers to achieve. 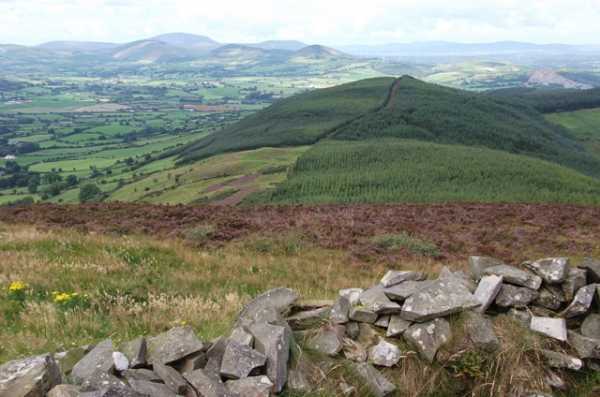 These include the County High Points of Ireland, the Vandeleur-Lynam 600m summits, and various other lists of hills of varying height that the walker can choose. There is also the list of Local 100. When you tell MountainViews where you live (by grid reference or by clicking on the area you live in), MountainViews can generate the nearest 100 summits to your location. This list will invariably include both well known higher peaks, as well as a selection of obscure or non-descript smaller hills. I think it is a worthwhile and achievable target for most walkers, and currently 29 MountainViewers have climbed 80% or more of their Local 100, with 8 having actually completed their list. We must feel sorry for those who, because of their location near the coast, have Local 100 summits that include inaccessible offshore islands! However, as our recent Puffin & Scarriff Islands expedition showed, such challenges can be overcome! Having previously completed my Local 100, I sometimes use the listing programme to generate a list of all MountainViews summits in order of distance from my location. In this way it is possible to see all 1056 summits currently listed on the site, starting with the nearest (in my case Tibradden – 6 kms away), all the way to the most distant (Great Skellig – 332.6 kms away). I decided to coincide reaching my 400th nationwide summit with reaching my 200th Local summit. This is not a specific MountainViews list, but is an example of what you can do with the listing programme. And so it was that I shared a moment of quiet happiness with MountainViewer madfrankie, as I reached the top of modest Knockanora two weeks ago. We parked at S017 713 D in a large recess on the side of the road. Heading about 100 metres north on the road we came to a gate on the left with an overgrown forest track beyond. Walking up this we turned right at the first junction at S017 712 E, and after 600m we turned left at another junction S011 713 F. This entire track is grassy and overgrown, with some ducking under trees and avoiding brambles in places. Taking this left leads up to a dead end at S013 711 G with the final steep climb to Knockanora visible just on the other side of the trees. A simple route through the trees is found to the left of the dead end. Beyond this lies the final short but sharp climb up to the summit. A faint path leads through what would be otherwise difficult heather and brambles. The views are typical for many of the Shannon group – pleasant rolling farmland and wooded hills in all directions. The summit is marked by a large tumbled down cairn with the trig pillar on top.